sound at 7am for send-off. You may start fishing after. 10 minutes you are late. busy and might be tough to get your boat out of the water in time for weigh-in. penalties will be given if you bring in a dead fish. Limits (15 fish total limit per team) which includes. species can be weighed in. together which will be converted to points. Pounds will be converted to ounces. 1 point per ounce. Pay-outs will be cash and prizes. drawing. We will pull a team name out of a bucket at the end of the tournament. 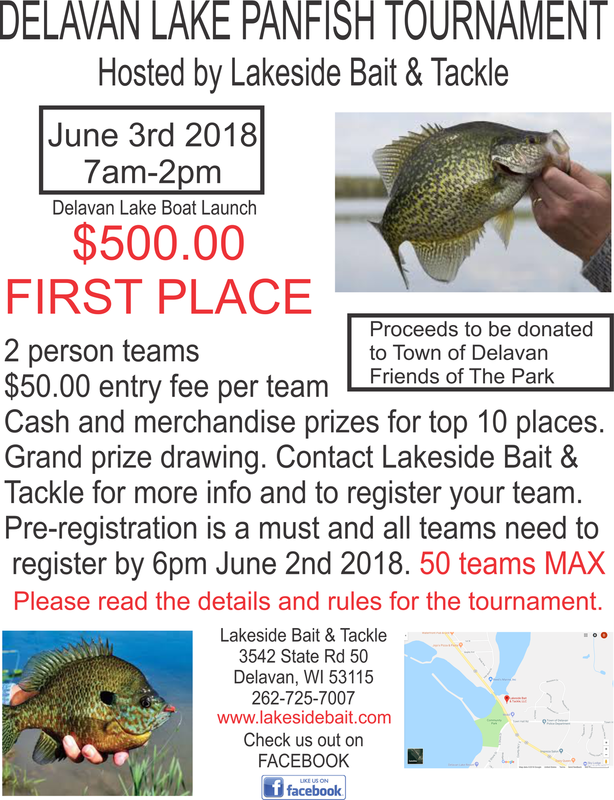 proceeds will be donated to the Town of Delavan Friends of The Park.